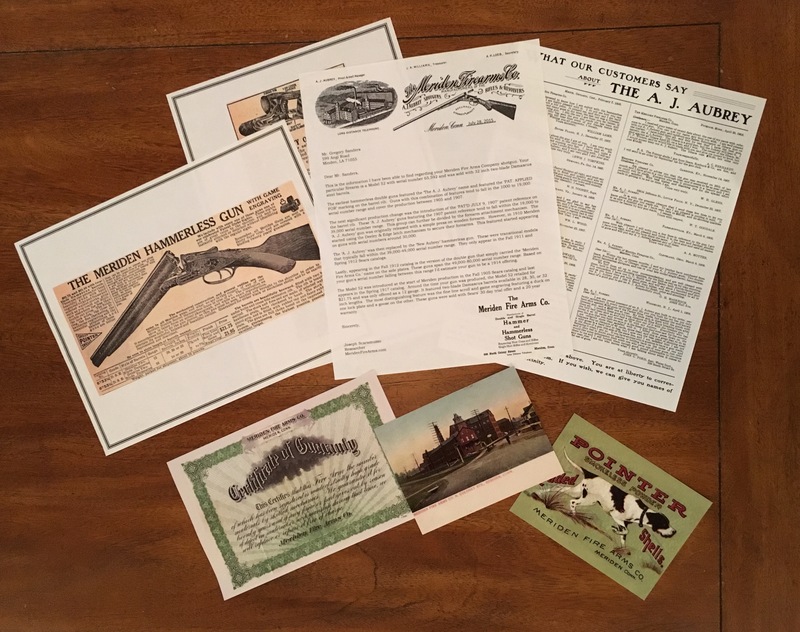 Meriden’s The Man Behind the Gunpublication contained 25 or so pages of testimonials. 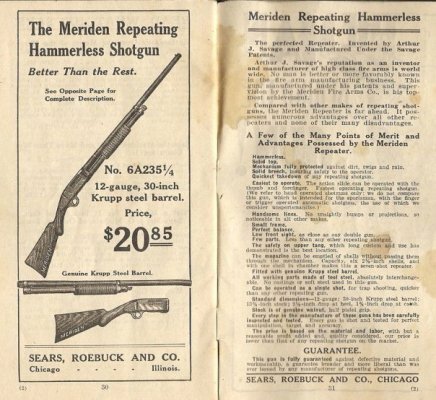 In addition, it stated that coming on October 1st, 1913 would be the “Meriden Repeating Hammerless Shotgun. Better than the rest.” It was to have perfect balance, handsome lines, and “Genuine Krupp Steel Barrels”. 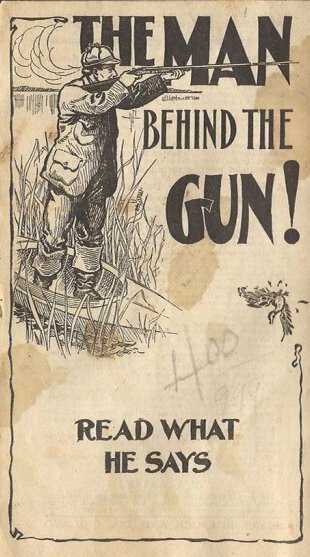 The new slide action shotgun would be based Arthur J. Savage’s patent which was clearly communicated in advertising for the firearm as well as on the gun itself. 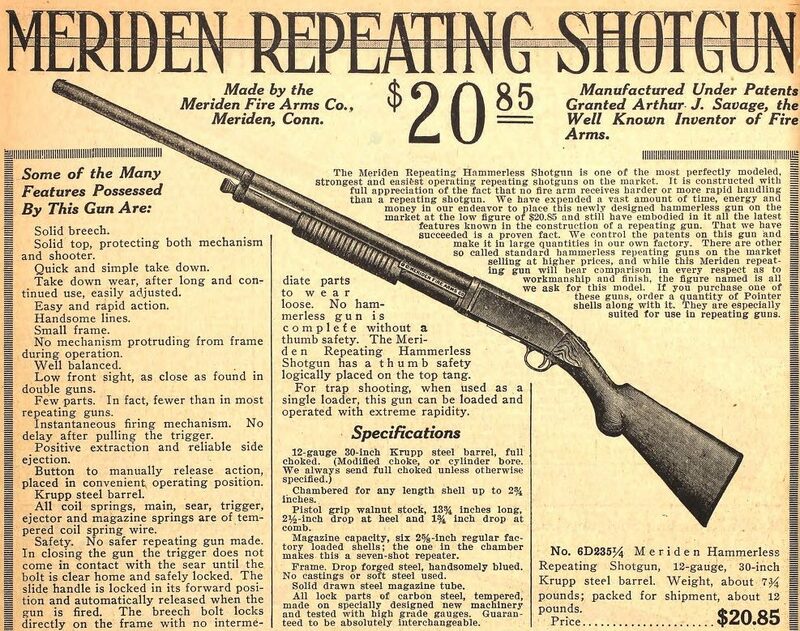 The Meriden slide action shotgun was based on A.J. Savage’s patent (1,019,367). 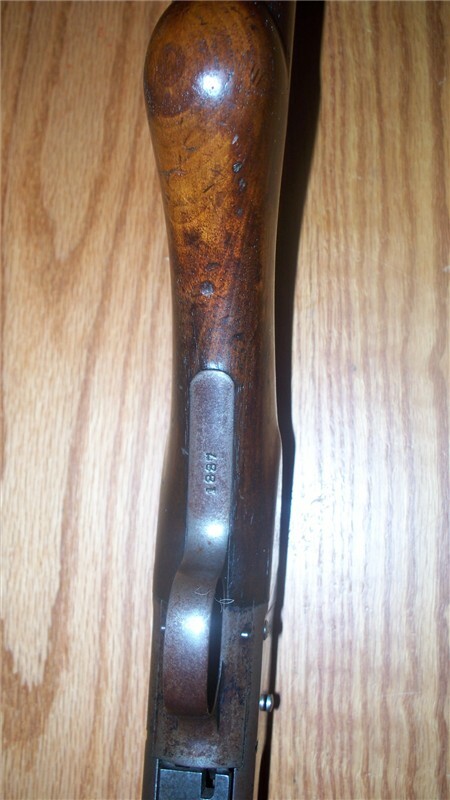 G.A.Horne later received patent (1,146,569) which revised the cartridge cut-off and sear lock of the orginal Savage design. 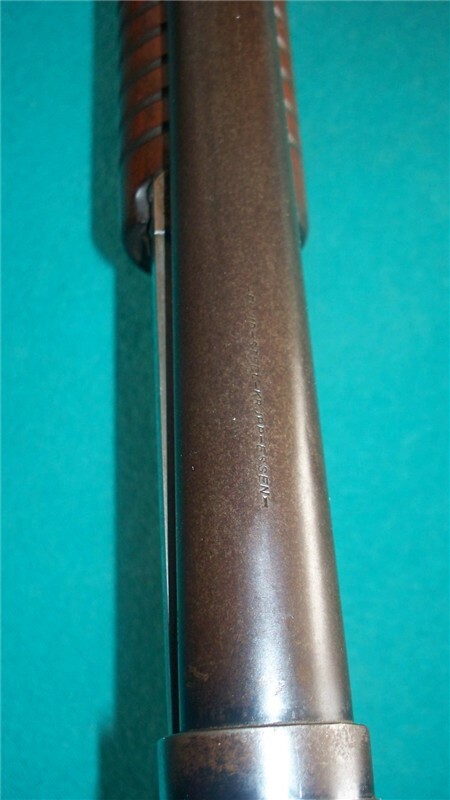 The repeating shotgun has several markings. First there is the Meriden identification and Savage patent reference on the slide assembly. 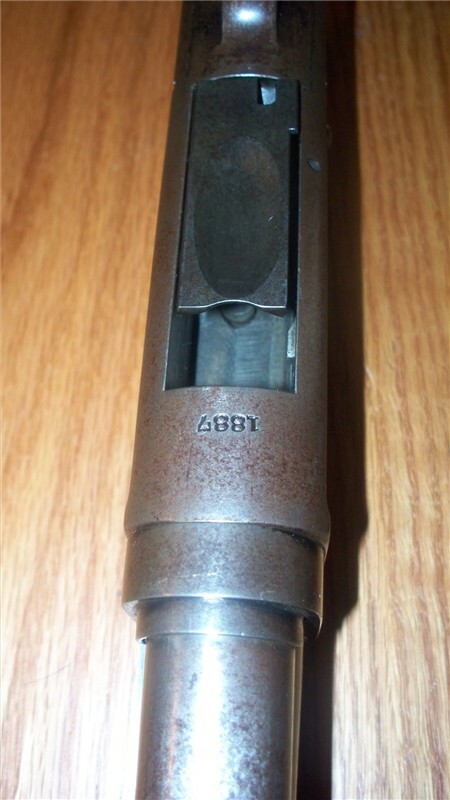 The serial number which is stamped on the trigger guard and on the receiver in front of the ejection port. 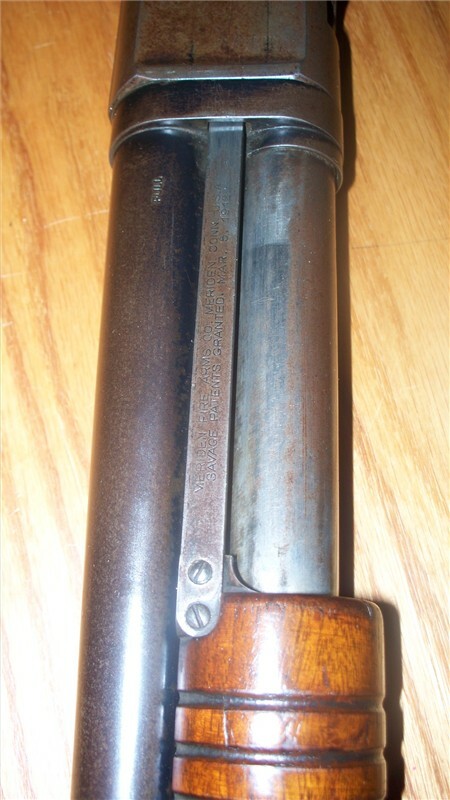 The barrel has the Krupp steel indication on the top and choke (FULL) indication on the side towards the breech.